Kurt Braunohler, an improv-trained comic actor, has further honed his stand-up persona, as heard on “Trust Me ,” his new audio album. Braunohler’s material is often a counterpoint to his physical appearance, which is All-American and clean cut, but he delivers pieces with an artful bravado that purposely counters what he’s actually saying. The counterpoint that produces becomes his comedy. So, in pieces like “Detroit Airport” and “UK Washing Machine,” which are both about being a comedian on tour, Braunohler plays up his misadventures. These are small-scale stories, maybe even slight in their subject matter, but his style and expertise in delivering them succeeds at getting laughs. Braunohler also can relate his own ineptitude in life, where it counts, like professionally and in marriage. You will hear that in “Pervy Kid” and “Prank Show.” On those pieces, he does telegraph some of where the stories are likely to go, almost so a listener can predict the outcome, but holds back just enough and has written the material carefully enough for his own persona to bring you along. Four years ago, Braunohler released his first album, “How Do I Land?” which showed him first finding his footing at performing stand-up, allowing pieces to meander a bit. Now, on “Trust Me,” he has clearly gotten his material to be more concise and economical. 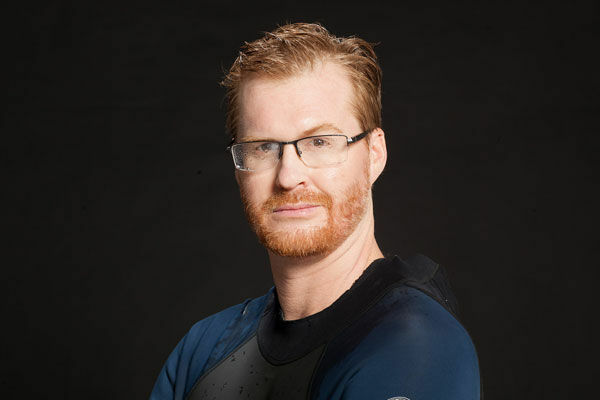 Braunohler’s stand-up more carefully balances his ideas, presence as a performer and mastery at delivering punchlines.